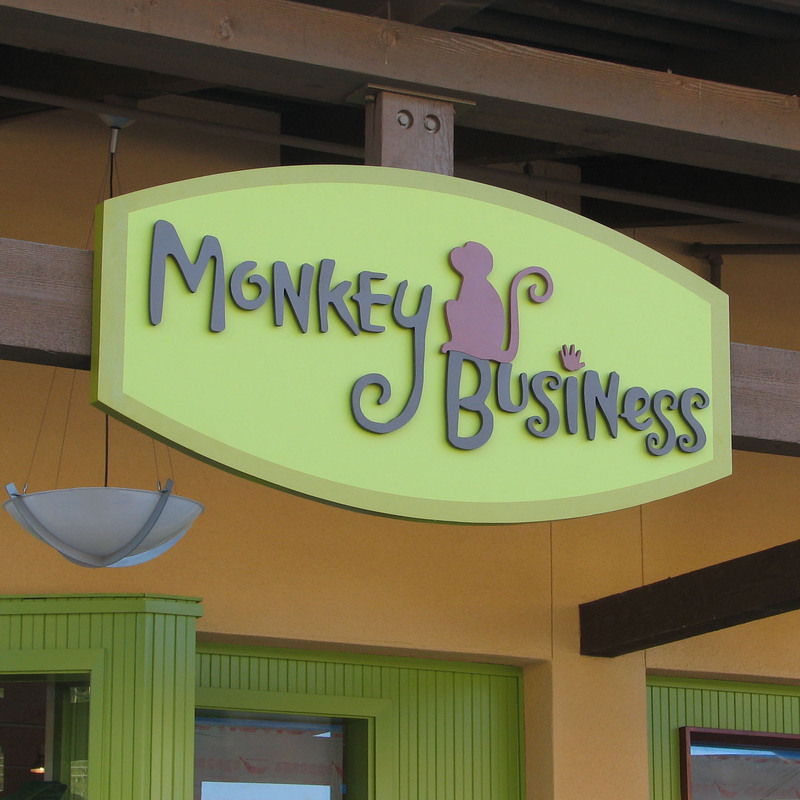 Monkey Business desired to incorporate their logo into their exterior signage. We accomplished this by using custom acrylic dimensional letters on a laminated MDO substrate for a sign that really stands apart. Tex Wasabi's wanted a sign that grab potential customers attention. We accomplished this goal for them with a custom routed sheet of sanded aluminum and die-cut vinyl lettering. 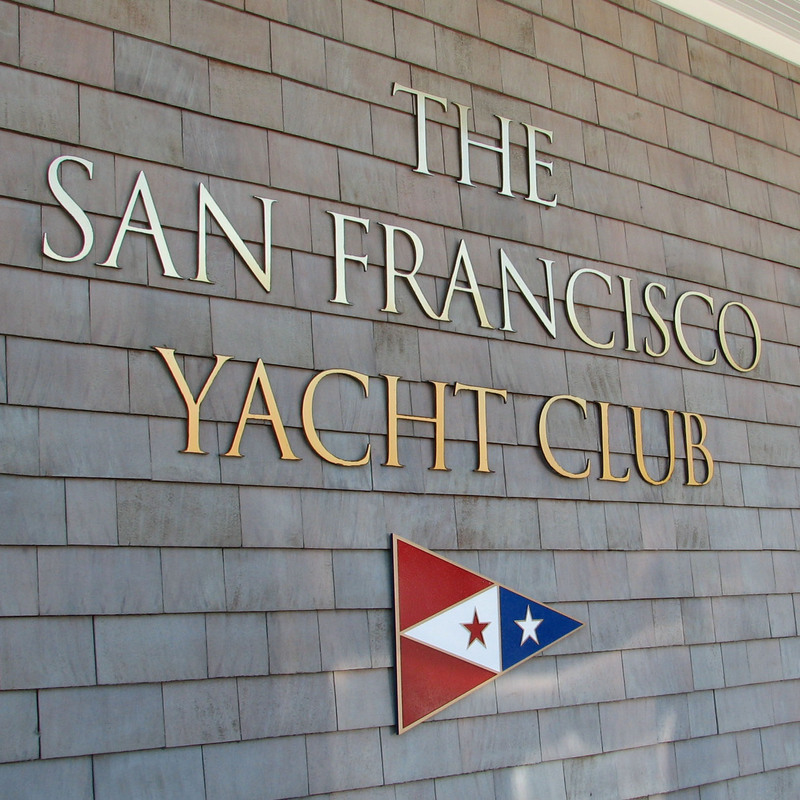 The San Francisco Yacht Club commissioned this custom dimensional lettering in brush aluminum and brass with a custom logo modeled after their racing flag. 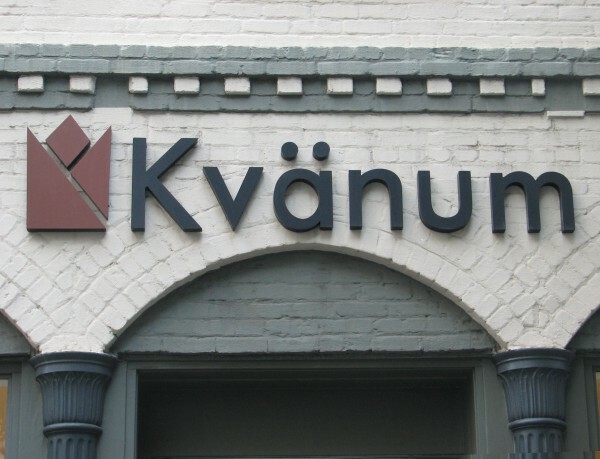 Kvanum desired have a large version of their logo serve as their main signage. Utilizing large scale metal dimensional letters and a logo that were 4 to 6ft high we helped bring an effective presence to their business. 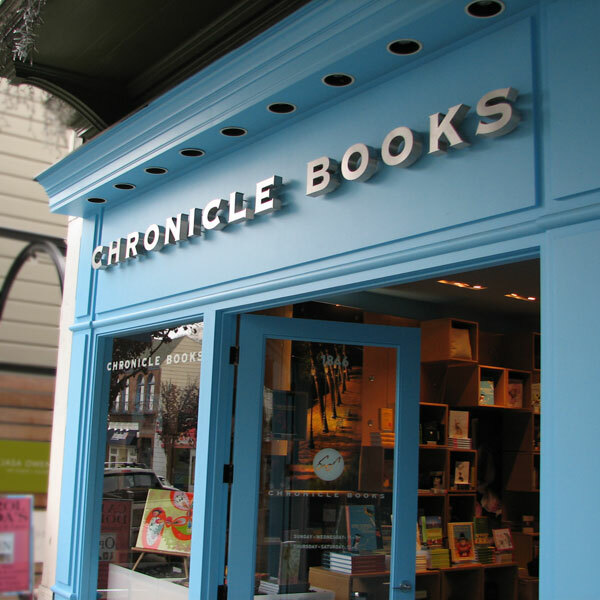 Chronicle Books in San Francisco commissioned us to install these beautiful thick brushed aluminum dimensional letters to the facade of their store. We think they made a bold and elegant statement! 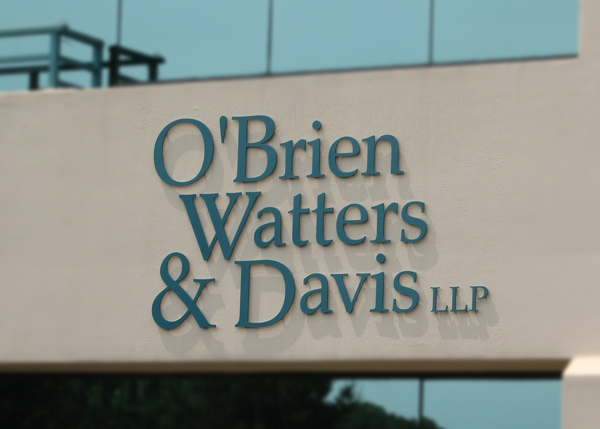 O'Brian Waters & Davis LLP in Santa Rosa wanted two large signs that was clearly visible from the busy road their office building is located on. We made this happen with color-matched dimensional lettering. Green Door Design wanted a sophisticated and elegant sign that mimics their logo. We brought this design to life on a large scale with brushed aluminum dimensional lettering and custom logo made of the same materials. 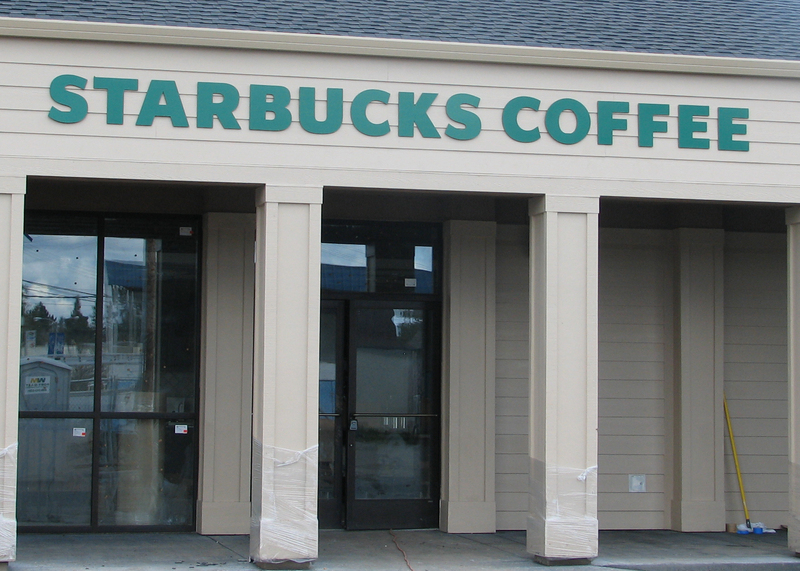 Starbucks contracted with us to install this sign at one of their Santa Rosa locations. They supplied the sign, we installed it for them, which is commonplace with large corporations. 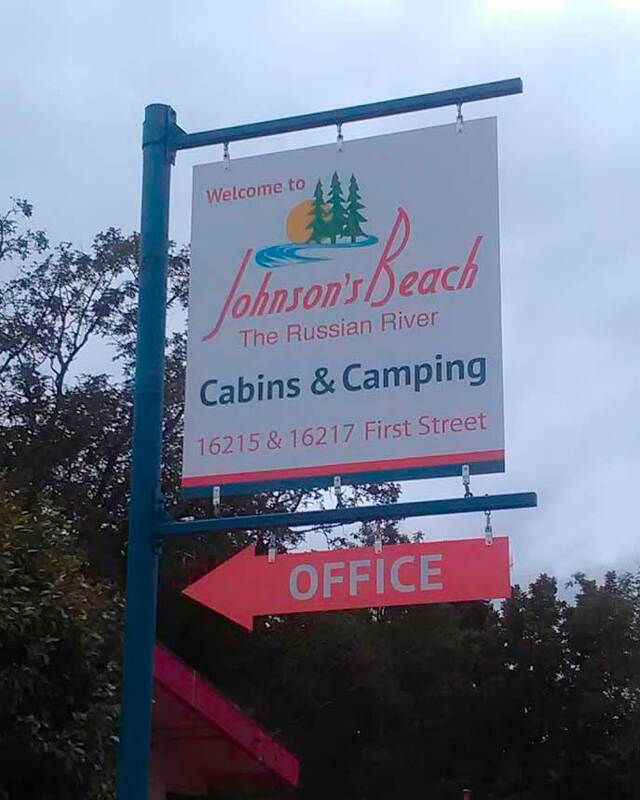 Johnson's Beach Resort desired a double-sided sign that would clearly guide their guests to their resort. Now guests clearly understand where the entrance to the resort is day or night. 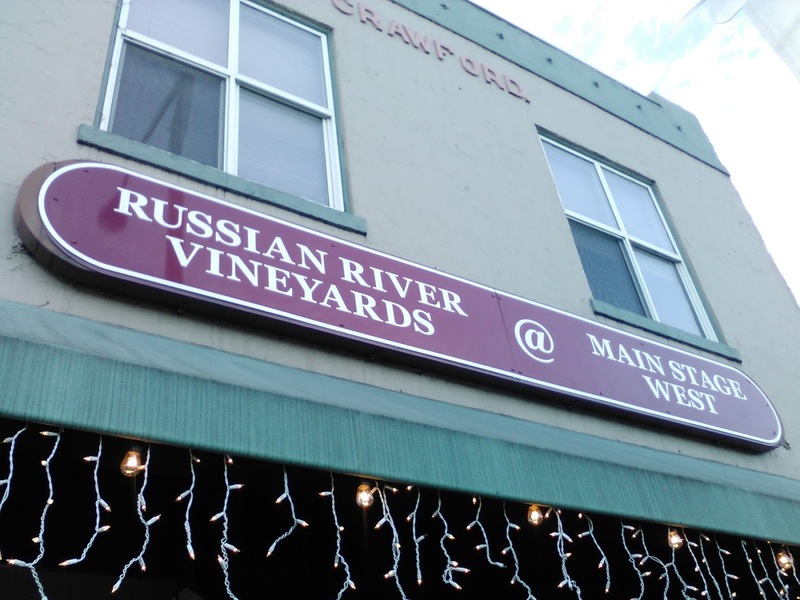 Main Stage West & Russian River Vineyards in Sebastopol needed a sign to equally promote both businesses within the same space. This affordable solution was achieved with two colors of vinyl. 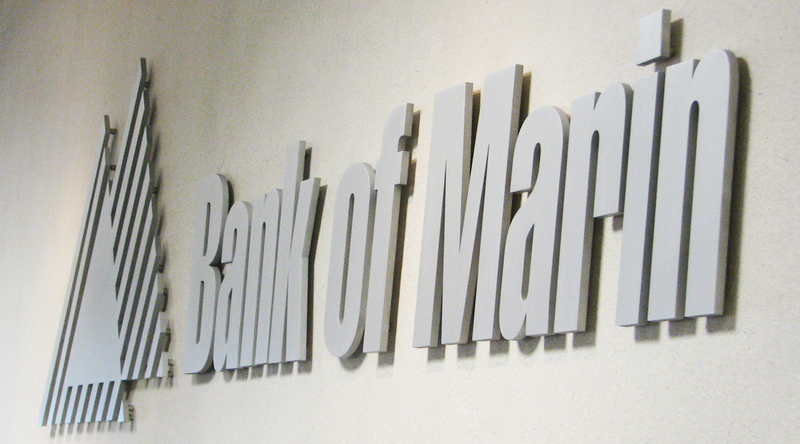 We partnered with Bank of Marin to create a dimensional sign for one of their exterior walls. Acrylic dimensional lettering and logo was the maintenance free solution for this project and they were very pleased with the results. At Insight Signs & Graphics, our beautifully crafted outdoor signs are available in a wide range of designs and materials and all our exterior signs are created with your budget and design aesthetic in mind. Exterior signs can be made out of a multitude of materials ranging from metals, woods, composite, plastics and laminates and we specialize in the use of reclaimed materials. The examples showcased above are just a small handful of the many exterior signs we have mande for our clients, we would be delight to share additional examples of our work when you schedule a FREE no obligration meeting with Insight Signs & Graphics creative team. Don’t wait – give us a call at 707-887-1303 or contact us today to request a FREE estimate.